Here around the Berlin streets it’s often on display — refugees, street people, men smoking in cafes while women with head-scarves are in the streets begging, even the rich-poor split of the Brexit vote seems relevant. We walked to Templehof the other day. Even that vast open space is a reminder of past oppression. The area has been variously an airfield, military base, concentration and labour camp, and finally potential housing area until a popular uprising managed to keep it as a public space. 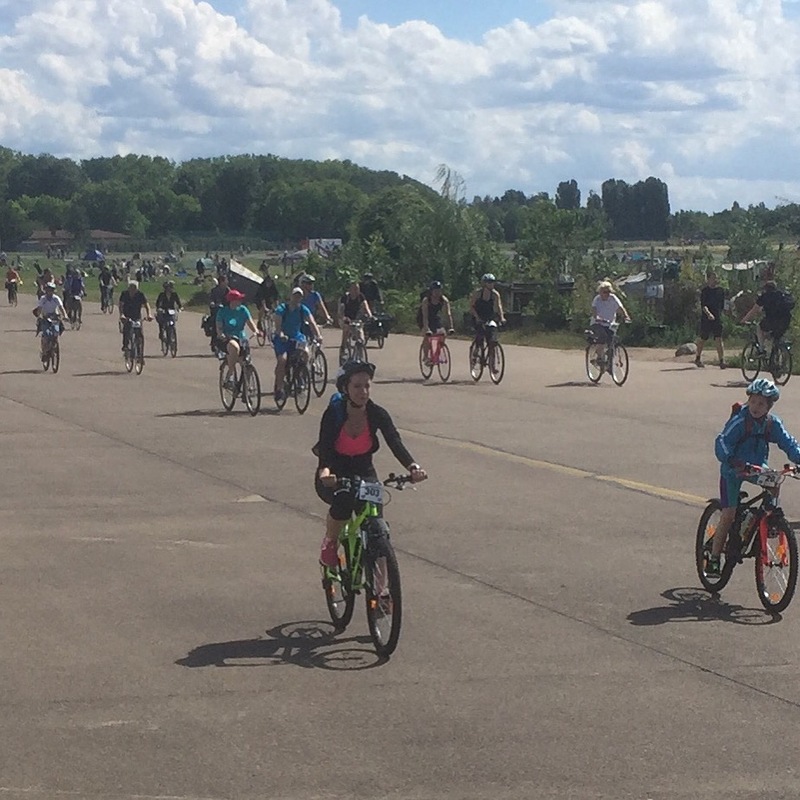 Significantly, it was also the hub of the Berlin Airlift, a stand taken soon after the Second World War 1939-45 against a Soviet blockade of free West Berlin, years before the Wall went up. Other references to past injustice in Europe are manifold. 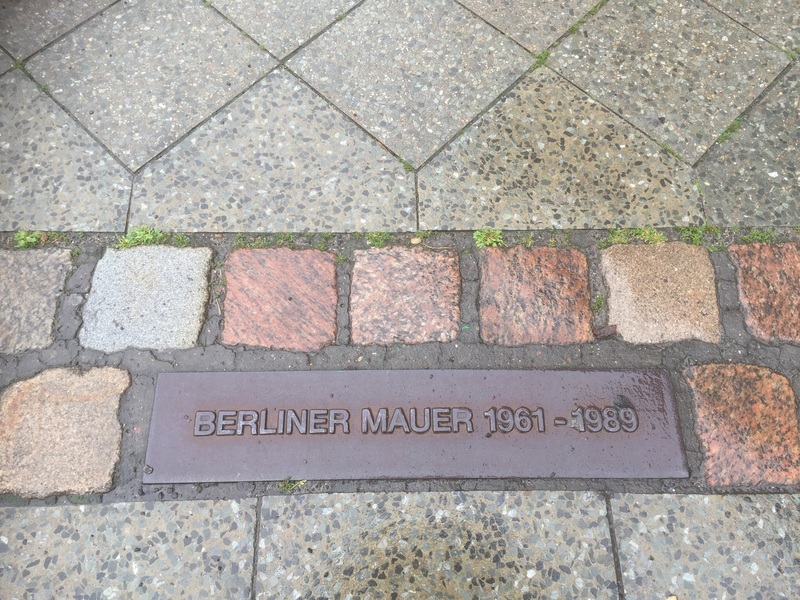 The tracery of the Wall is marked here and there by a double row of pavers and occasionally a plaque, as shown. These reminders are great. But we need to renew and refresh the cues and images of our quest for justice. Walking back from Templehof, we came upon a street market by a church. A black gospel choir sang as people sat around in the warm evening airs. 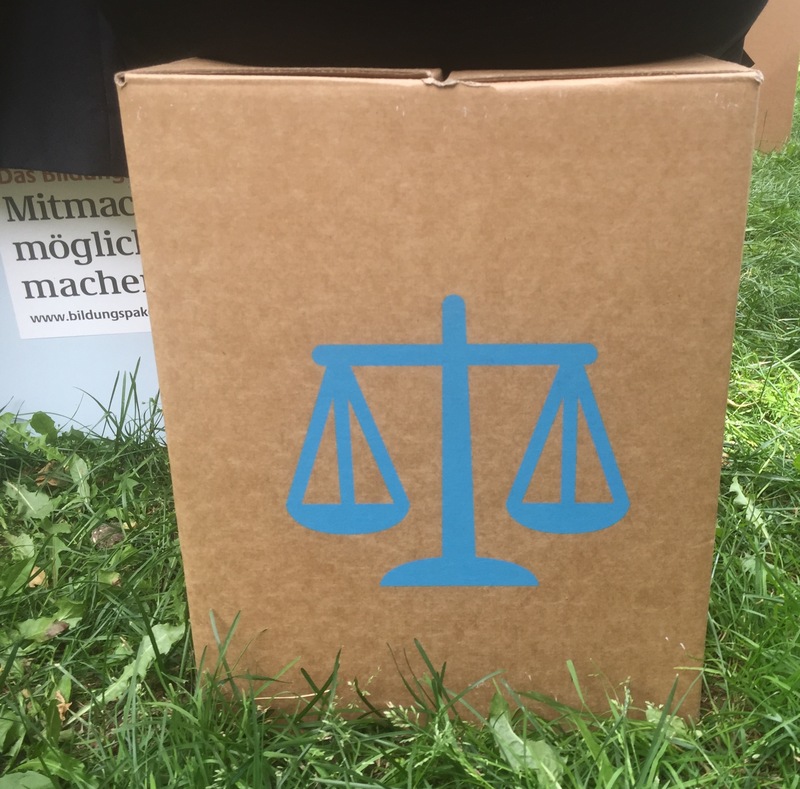 People were sitting on boxes provided by the church emblazoned with symbolic images — heart, dove, and sure enough the scales. A familiar reminder in a new place. Good to read your post Brendan Justice needed by so many in so many countries and situations. Thanks Lyn. And for all singers, if enthusiasm to sing PFAS 82B erupts, there is a cantor sheet in the Library; ask me for the link. Improvise the verses to the chords shown or refer to one of the tones available.